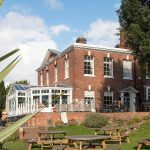 Independently-owned two-star standard quiet hotel in city centre location on the side of the River Severn with options for smaller conferences. Facilities include: 26 bedrooms; meetings suites to 40. A professional approach to business. Whatever the purpose of your event – educational, motivational, networking or social – our staff make it their mission to help you fulfil your aims. As a meeting venue in Worcester, we have plenty to offer. Corporate meetings and events are catered for in our light and airy Seymour Suite, a purpose-built conference venue which sub-divides into syndicate rooms. Our experienced team are always available to manage your event. The William Leader room is ideal for smaller meetings and has views over the gardens. With our experienced team we are able to manage any event from a conference to a product launch. Group Accommodation is also available on request.